This entry was posted in Uncategorized and tagged canada, disclosures, NI.to, niocorp, securities law, SEDI, usa on April 17, 2015 by Steven Bodzin. ALFA, a big Mexican conglomerate, said in May it had bought 31,437,700 shares of Pacific Rubiales Energy Corp. (PRE.to), or 10% of the company. 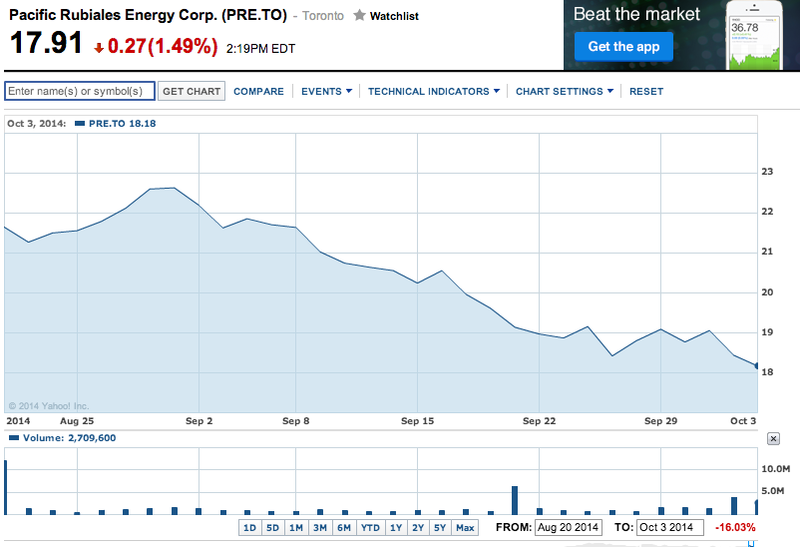 It disclosed after buying some shares for $18.43, which at the time was a low price for PRE. Then, in August, Alfa announced it had bought 9 million shares of PRE.to at $21 a share, bringing its total holding to 17%. We don’t know exactly how much Alfa spent on its PRE.to shares, but we know from Canadian regulatory filings that from May 20 to August 20, Alfa paid an average $21.03 per share, or $489 million. At that point, things were looking good. Those 53,657,900 shares closed that day at $21.65 apiece, for a total value of C$1,162 million. I’m no expert in trading patterns, but I have a theory here. This entry was posted in Uncategorized and tagged Alfa, ALFAA.mx, canada, pacific rubiales, pre.to on October 6, 2014 by Steven Bodzin. Proenergy Services had quite the adventure in Ghana a couple years ago. It, along with other US companies, left behind an inoperable power barge, at least one dead employee, and years of lawsuits. Now Proenergy is partnering on a African power consortium, based in part on its experience in Ghana. Proenergy, as regular readers will know, has also been building power plants in Venezuela as a contractor for Derwick Associates. 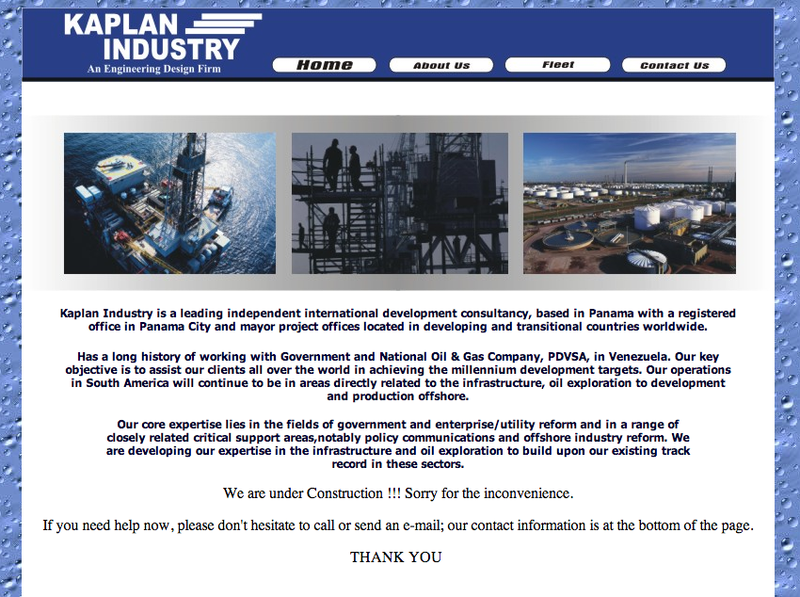 I know that PDVSA records can be inaccurate, but for what it’s worth, it says here that none are yet complete, more than four years after the work was expedited under Venezuela’s electricity industry state of emergency. Now, I read that Proenergy used its Venezuelan experience to land a $100 million gig installing 100 MW of turbines in Newfoundland and Labrador, Canada. According to the local paper, 11 of 13 examples of prior work on Proenergy’s application were jobs in Venezuela. This entry was posted in Uncategorized and tagged canada, ghana, proenergy, venezuela on August 15, 2014 by Steven Bodzin. I have learned that the billion-dollar contract referred to in this report was not just for ship rental. It was also for the provision of ship crews, divers, and geotechnical engineers, and other professionals for the full project of pipeline mapping, repair and replacement. AND AN UPDATE: Pdvsa said in its 2014 annual report that it paid this award. In November 2013, the award related to the arbitration request filed by Gulmar Offshore Middle East LLC and Kaplan Industry Inc. was issued against PDVSA, corresponding to early unilateral termination of contract by PDVSA. The award established a compensation of $644 million. That is a tremendous amount of money. I wrote last week in REDD Intelligence (subscription needed to read) about what this surprise means for Venezuela’s country risk. Here, I’m going to focus instead on what we know about the companies that won this money. Gulmar was, and is, a company that leases vessels for undersea projects in the oil industry. It was later purchased by Oaktree Capital Management (more on them later). Back in 2009, I had a hard time reaching them; for this article the one phone number I found didn’t even ring and Oaktree’s lawyer didn’t respond to an e-mailed request for comment. Kaplan is more difficult to pin down. Bloomberg said that Kaplan was a gas-cylinder manufacturer from New Jersey. Oops! That’s Kaplan Industries. No one answered at any of the three phone numbers listed on the website. Company president Vince Hulan didn’t respond to e-mails sent to the address on the website, including one e-mail asking specific questions about the plagiarism and other concerns raised in this article. Four lawyers connected to the company and its principals also failed to return calls and e-mails. This entry was posted in Uncategorized and tagged $DEEP, arbitration, canada, lawsuits, panama, plagiarism, scoops, uae, usa, venezuela on July 14, 2014 by Steven Bodzin.